New Directions in the Study of China's Foreign Relations. Edited by Alastair Iain Johnston and Robert S. Ross. Stanford: Stanford University Press, 2006. 482p. $24.95. 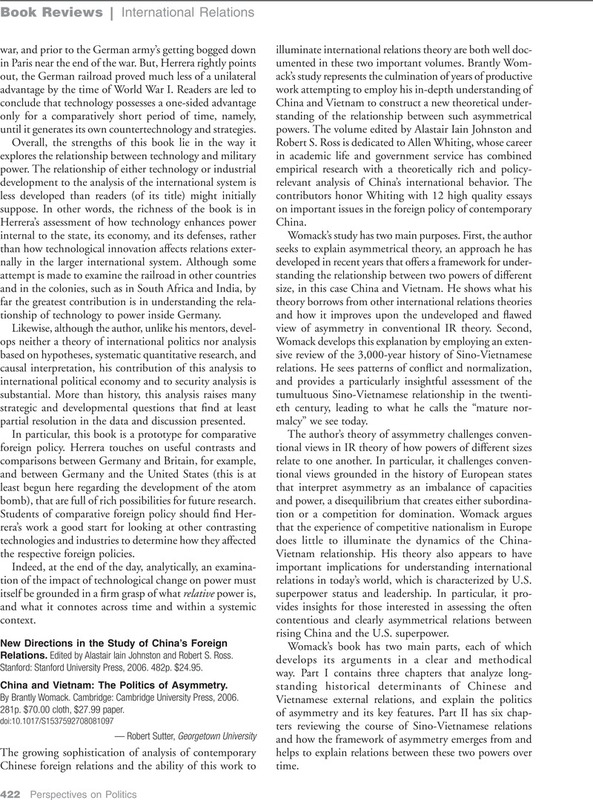 - China and Vietnam: The Politics of Asymmetry. By Brantly Womack. Cambridge: Cambridge University Press, 2006. 281p. $70.00 cloth, $27.99 paper.